With more than four main parks and around 40 square miles, Disney World is the biggest amusement park in the state of Florida, and in the world. Even with 46 rides, the daily 52,964 visitors go home discussing and comparing the length of the lines for the different rides. To avoid them, guests can get a fast pass that allows them to skip the lines. Students at BYU-Idaho are faced with a similar experience of long lines and waiting time while stopping by the Testing Center. With a campus that spans over 430 acres, BYU-I is the largest college in Idaho. With 87 bachelor’s degrees and 19,399 students each semester, it is very easy for the Testing Center to become crowded and burdened with long lines. 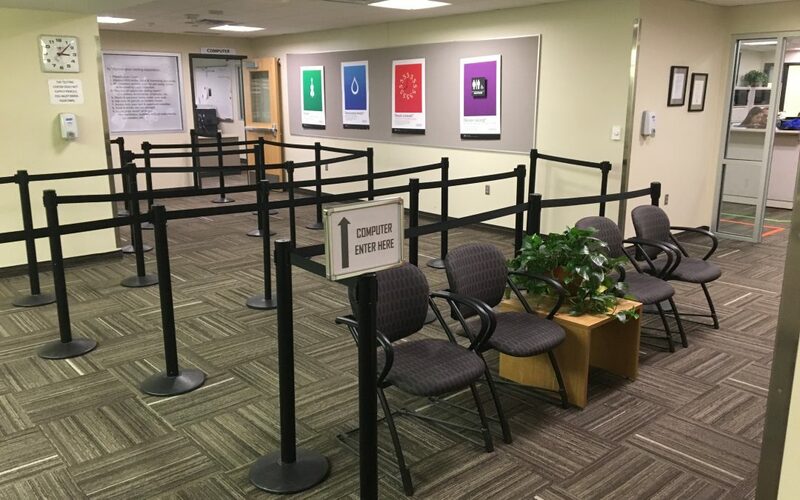 Unfortunately, BYU-I does not offer fast passes for the lines at the Testing Center, but here are some tips and tricks on how to avoid being stuck in a line. As a junior studying biology at a BYU-I, Jonathan Peterson has spent his fair share of time in the Testing Center. His advice is to take tests as early as possible in the day to avoid the late rush. Justin Clemans, a student studying accounting, said that the best time is in the afternoon because he has time to study in the morning and take his test with hardly anybody there. Another great resource the Testing Center provides is the webcam they have set up at the lobby. If you search for “Testing Center Web Camera” on the official BYU-I website, it will bring the camera up, allowing you to see how long the lines are and plan accordingly. Anna Knoerr, a freshman studying psychology, used the webcam to find the optimal time to take her test without having to wait in a long line. Testing Center hours are posted on the BYU-Idaho website along with any questions and answers students might have about the Testing Center.